More than 50 million Americans have tried this most widely used of all illicit drugs. About 13 million Americans, including one-third of all high school seniors, regularly use marijuana. Despite this widespread usage, the drug still remains a negative symbol to more traditional Americans who associate its use with 'hippies' and the rejection of established values. Marijuana use has had an enormous impact on American culture, and as such it is vital to understand the nature and the effects of this drug. 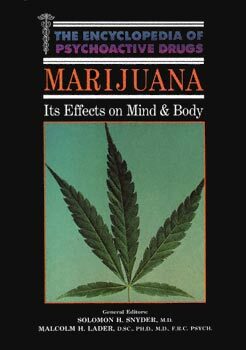 This book provides an objective, up-to-date look at the scientific, social, and personal aspects of marijuana -- its history, cultural impact, psychological and physical effects, dangers, legal status, and the pros and cons of the legalization issue.